Kim Kardashian And Kris Humphries Reach A Settlement - Officially Divorced! 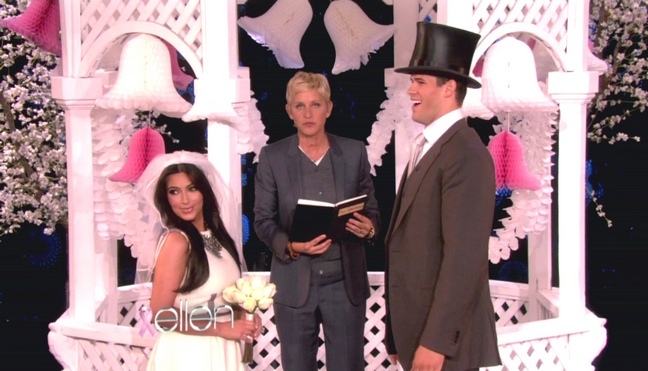 Kim Kardashian And Kris Humphries Reach A Settlement – Officially Divorced! After a long battle, Kim Kardashian and Kris Humphries have settled their issues and are officially divorced. Kim and Kris tied the knot on August 20th, 2011 and Kim filed for divorce just 72 days later. The demise of the brief marriage was played out in the media and on their reality show “Keeping up with the Kardashians” for the past year and a half. Their divorce was set to go to trial next month, but the two reached a last minute agreement this morning and the judge approved it. The details haven’t been shared. I’m sure Kim is relieved to put this behind her and enjoy her pregnancy and work on her projects. For Kris, too, we’re sure it’s nice to finally move on and focus on his basketball career. Are you surprised they didn’t go to trial?